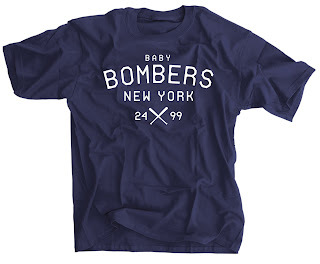 New T-Shirt Featuring the "Baby Bombers of New York: Gary Sanchez and Aaron Judge"
The Bronx Bombers have now become known as the "Baby Bombers" thanks to the young sluggers Gary Sanchez and Aaron Judge in the middle of a potent Yankees lineup. Now this dynamic young duo has their own SportsCrack LLC designed t-shirt called Baby Bombers New York. Buy it exclusively at our store page.